Every PC owner sooner or later meets a task of hard disk management. An optimum allocation of disk resources is the key point to manage data and operating systems on your computer effectively. 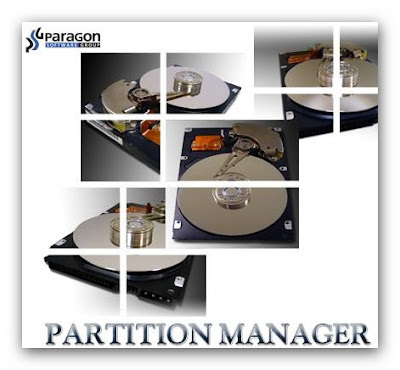 Paragon’s award winning Partition Manager provides easy and reliable hard drive partitioning and full-range hard disk management. It enables to create, copy, resize and move hard drive partitions. This full function tool is suitable for home and professional use. Partition Manager helps you to: Enhance computer performance, convert operating systems, defragment partitions, optimize your hard disk partitions cluster size. Resize, move, hide, merge, restore and convert partitions without data loss. Change partition properties: hide/unhide, make active/inactive, assign/remove drive letter, change volume label, convert file system, etc.